Scrutinizing topics such as domestic and international conflict, level of societal harmony or discord, terrorism and militarization, the institute assigns a country three scores that are then combined for the overall ranking. We’ve coupled the GPI marks with the data from the biennial Travel and Tourism Competitiveness Report from 2017, produced by the World Economic Forum, to curate a list of seven countries that are true gems for travelers and expats alike. Contrary to popular belief, not all of them are in Northern Europe. Yes, Iceland seems to top the list every year, but there are plenty other off-the-radar places that offer perfect conditions for a life well lived. If this nation on the cusp between Europe and Asia is not on your bucket list, revise it. 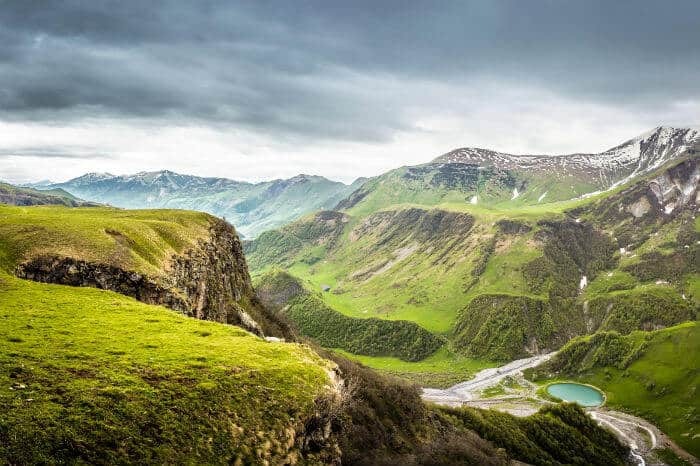 Beckoning visitors with a Black Sea coastline to the west and Caucasus mountains to the north, this once Soviet Socialist Republic has come a long way since its independence in 1991. Following a stifling seventy years of Soviet central economic planning, a period of civil war and political turmoil, the small country of 3.7 million has staged one of the world’s most impressive economic turnarounds. Georgia’s economy grew by an average of 6% annually from 2003 to 2015, while poverty declined rapidly. 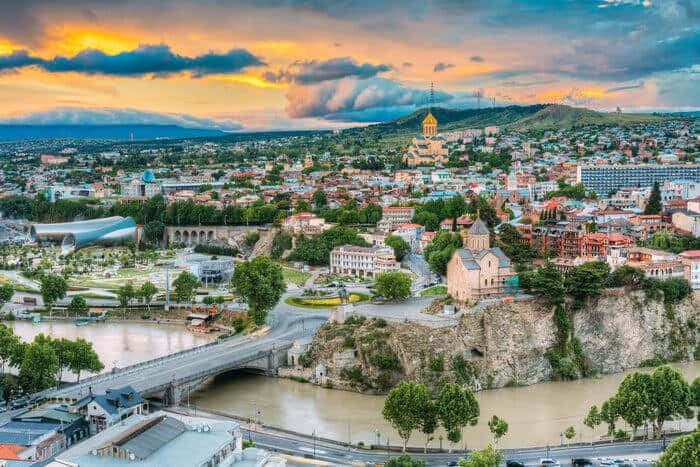 Today it boasts the lowest crime rates reported in Europe, a thriving restaurant scene in the capital city of Tbilisi and a scenic wine trail in the Kakheti region that’s been touted as a wine region to watch by Wine Enthusiast magazine, Conde Nast Traveler and Anthony Bourdaine. Despite the rising hype, there aren’t as many tourists crossing Georgian borders as the country’s government would hope. To ratify this fact, the country recently celebrated its six-million visitor by surprising him in the airport with an impromptu invite to a dinner with Georgia’s prime minister. Watch the video here. Get there before everyone else does. It may be in the Middle East, the region synonymous with turbulence and turmoil, but the sultanate of Oman shares little with its conflict-ridden neighbors Yemen, Saudi Arabia and Iran across the sea. Not an obvious destination, especially not for American visitors, this wealthy nation that generates most of its revenue from oil resources (and is looking to diversify) is an outpost of calm. The country is very confident about its potential, aiming to become a sought-after tourist and expat destination in the near future. After spending a little time here, you start to believe it too. Economic growth in Oman has been incredibly impressive over the last fifty years. In the 1970s, it grew by more than 1,000%. The Omani economy is thirteen times as large now as it was in 1980. Oman has a GDP per capita that is basically half of the United States: $24,700. With a low 12% corporate tax, zero personal income tax and an openness to foreign workers, Oman is an attractive place for entrepreneurs. Oman abides by strict religious, moral and legal codes rendering crime rates very low. Situated on the edge of the Arabian Peninsula, it is one of the countries in the region with the most dazzling and diverse landscape. Imagine a dramatic coastline that rivals the beaches of Hawaii or Brazil or the silky sand dunes from here to the horizon in the Empty Quarter desert. The verdant south is speckled with fruit plantations and Bedouin towns steeping in tradition. The capital city of Muscat is vastly different from nearby Dubai or Abu Dhabi. With very few high-rises and plenty of old-school white-washed architecture, its laid-back charm is optimistic and infectious at once. This Eastern European country roughly the size of New Jersey is hidden in plain sight. 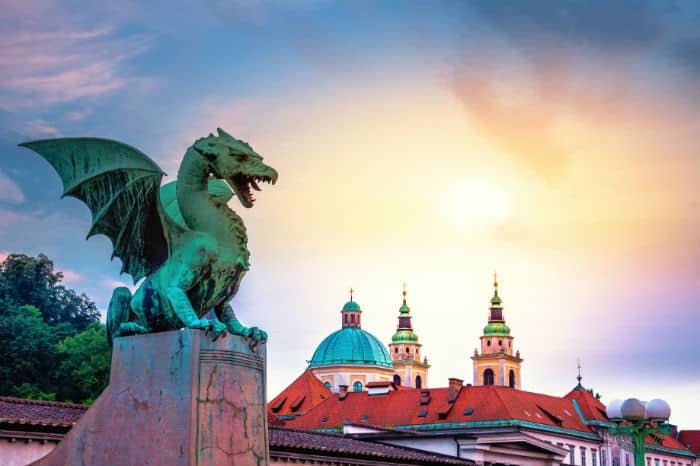 Situated between buzzier, more fashionable neighbors, Italy, Austria and Croatia, Slovenia is often overlooked when planning a European itinerary. For years, Italy and Slovenia feuded under the usual auspices of western Europe vs. Cold War eastern Europe. Today, Slovenia is not only part of the Eurozone and the European Union, but feels just as advanced as tis neighbors to the west. Banks, while not perfect safe havens, are efficient and direct. Real estate isn’t as cheap as in Budapest, but is affordable and of good quality. With an opening to the Mediterranean, a stretch of the Alps, delicious wines and food, it won’t be staying under the radar for too long. In 2016, Ljubljana was awarded the highly coveted “Green Capital of Europe” title by the European Commission. You can easily see why when exploring the city’s plentiful green spaces, a car-free historic center and the many cafes on the banks of the Ljubljanica River. In addition to the eco-culture, Slovenia boasts one of the lowest crime rates in the world, with over 90% of registered criminal offences constituting of theft. Slovenia is the among the richest of the Slavic countries, and the Overseas Security Advisory Council has given it the lowest danger rating. With its beaches, ski resorts, golf courses and bucolic countryside, Slovenia certainly deserves your attention. With safe streets, efficient public transport, first-rate education system and a plentitude of restaurants, Hong Kong has firmed its reputation as a cosmopolitan hotspot. Averaging 26 million tourists a year, this “Asian World City” is flourishing by all measures and seems to be Asia’s answer to western mega-cities like New York. In 1997, Hong Kong’s sovereignty was handed over from the British to China, kicking off a 50-year period of autonomy and rendering Hong Kong a “Special Administrative Region” of China with its own constitution, currency, passports and official languages. Hong Kong consistently ranks among the lowest in the world for terrorist incidents and natural disasters (which places it above Japan on the safety scale in our books). If anything were to happen, Hong Kong boasts extremely reliable police and emergency services. A competitive economy consistently draws expats and businesses to its shores. Hong Kong has been growing very fast in the past decades, which is very visibly represented by its impressive skyline. While many European countries suffered from economic downfall, Hong Kong is still growing, although it’s not in an explosive way. According to research done by Hong Kong’s government, the economy of the country has expanded by 2.3 percent in 2014. It’s the kind of growth that belongs to a stable and predictable country. The establishment of the Cyber Security and Technology Crime Bureau in 2015 further cements its place as the #4 on our list. Thanks to its strict laws and high penalties for minor offences – think graffiti, drinking water on the subway or spitting gum on the street. This island-nation takes the crown for more than just offshore gold storage; it also has some of the lowest crime rates in the world. In 2016, the country police reported a 135-day stretch without any crimes whatsoever. These stats are so uplifting, many of Singapore’s stores and restaurants don’t even bother locking their doors after hours. 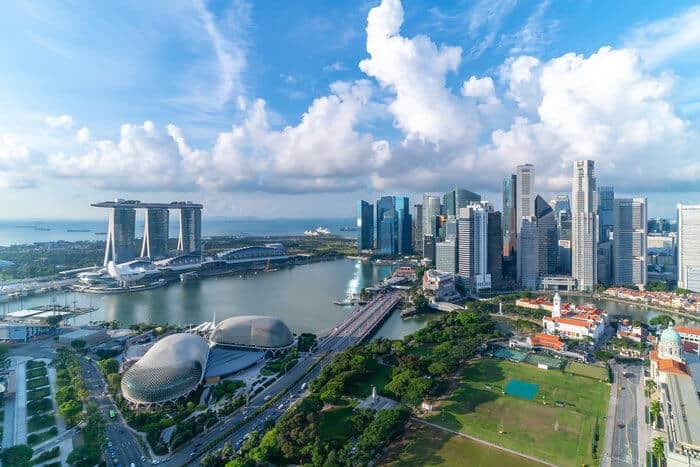 Singapore is consistently ranked by the World Bank as the best country to do business in, thanks to standards for trading across borders, dealing with construction permits and protecting investors. It’s ranked the second most free economy in the world (behind Hong Kong) according to the often-quoted Heritage Foundation’s Index of Economic Freedom. 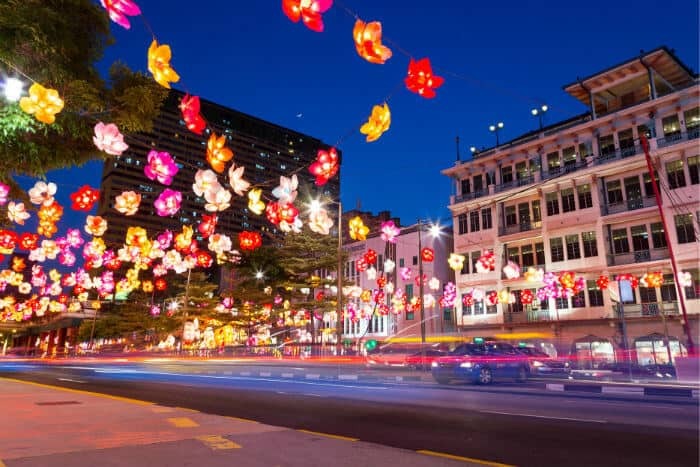 Asia is the epicenter of 21st century growth, and Singapore is at the heart of it. It’s THE place for the new wealthy in countries from India to Indonesia to store their wealth. It’s also one of the least corrupt countries in the world, despite being located in a region where corruption is sometimes a part of life. Singapore is a top destination for affluent expats; nearly one in five Singapore residents is a millionaire. Fun fact: over half of Singapore’s wealthy people have taken less than 10 years to accumulate the majority of their wealth. Some may find the strict laws and surveillance (there are networks of cameras covering all public housing blocks and car parks) a downside to living or visiting this prosperous nation. But that is a personal choice. Remote and beautiful are the words that come to mind when thinking about this South Pacific two-island nation marked by volcanoes, glaciers, lakes and national parks. Roughly the size of the United Kingdom but with a population of 4.5 million compared to UK’s 64 million, this “Middle Earth Mecca” is guaranteed to leave you gasping at the views, not sights of conflict or violence. New Zealand is one of the prime places in which people are choosing to create a bolthole — a place where they can escape to while the rest of the world is rioting, creating chaos and starting nuclear wars. It’s a kind of safe haven far away from everything else. It has an excellent passport, it’s in a cool location down in the Southern Hemisphere, it’s detached, it’s independent, it’s a great place to store gold, it’s not part of any big alliances like The EU and it’s a safe haven. 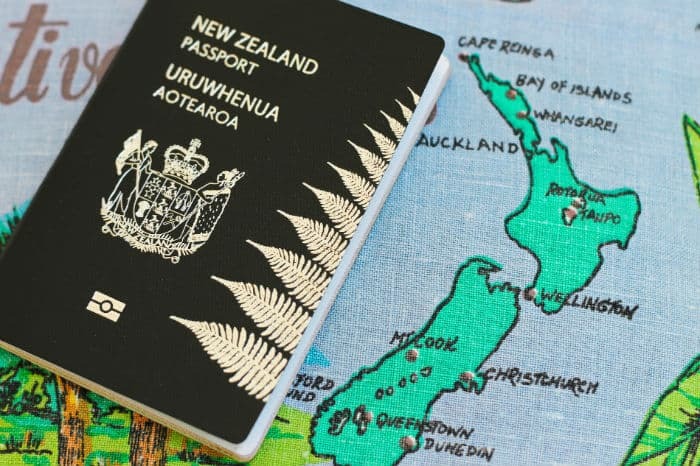 Ranked as one of the world’s most peaceful and least corrupt countries in the world, New Zealand’s status if protected by laws that prevent abuse to freedom of expression and a reliable police force that won’t act arbitrarily. There isn’t even dangerous wild life here, so you can camp and hike to your heart’s content. 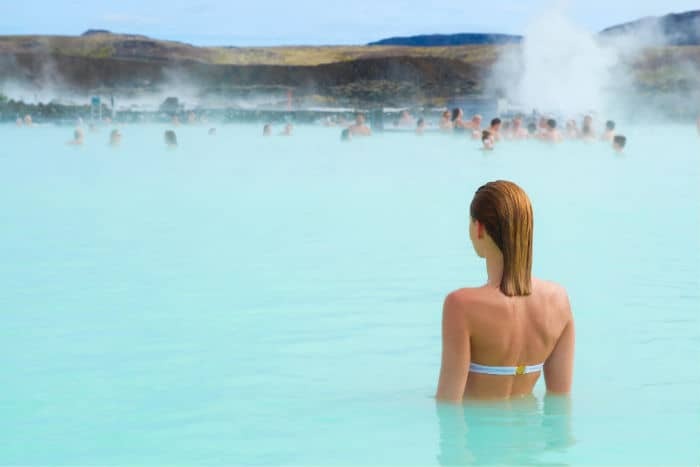 Renowned for its egalitarian society, laid-back culture and virtually no corruption, it’s no surprise Iceland has consistently toped the world’s safest countries list since 2008. Icelanders were the first in the world to elect a female president in 1980 and an openly gay prime minister in 2009. The police officers here don’t carry guns and although gun ownership is legal, obtaining a fire arm is a difficult process that involves lots of paperwork and restrictions. Scoring low on homicides, number of people in jail and terror acts, Iceland is also the only NATO member without a standing army, navy or an air force. It consistently performs well in general well-being relative to most other countries in the Better Life Index. Living standards in Iceland are very high, even when compared to other European nations. The country ranks at the top in jobs and earnings, and above the average in income and wealth, well-being, health status, environmental quality, personal security, civic engagement, and education and skills. Most of the population is employed with 86% of people aged 15-64 in Iceland have a paid job. Life expectancy is high at 83 years on average. The country has a strong sense of community and high levels of civic participation with 98% of people believing that they know someone they can rely on in time of need. Icelanders are generally more satisfied with their lives than the average. As if you needed any more convincing to visit this tranquil paradise of geysers, thermal baths and Northern Lights. To give you a comprehensive idea of world-wide safety, it bares mentioning that the very bottom of the list is currently occupied by Syria, followed by Afghanistan and Iraq. At the moment these countries are so dangerous, even airlines avoid flying over them when planning flight routes. It’s also worth noting that the United States never makes the top 10 safest countries list. The homicide rates, intensity of organized internal conflict and political divisions of recent years are all contributing factors. All the reason to look beyond your comfort zone when choosing your next travel destination or a place to call home. I enjoyed this article. It was interesting and it says a lot without a bunch of useless information. 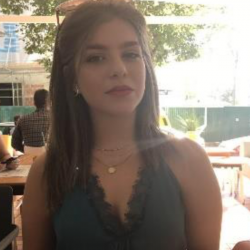 I will be looking for more of your articles in the future. Thank you Derek, we’re glad you like our content!